New Delhi, Aug 25 (IANS) Prime Minister Narendra Modi has directed government officers not to restrict themselves to files but to make field visits to understand the true impact of decision-making, the government said on Friday. 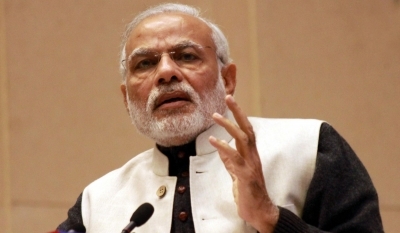 In an interaction with senior government officials on Thursday – the second of five such interactions, Modi urged the over 80 Additional Secretaries and Joint Secretaries to focus their attention on 100 most backward districts and bring them up to the national average level on various development parameters, the Prime Minister’s Office said in a statement. “The Prime Minister said that officers should not look on their work as just a duty, but an opportunity to make a positive transformation for governance in the country. He urged them to use technology interventions to simplify governance processes,” it said. While urging the officers to go to the field instead of just restricting themselves to files, Modi recalled the experience of officers in post-earthquake reconstruction in Gujarat in 2001. “During the interaction, officers shared their experiences on subjects such as performance based administration, innovation in governance, waste management, river and environment pollution, forestry, sanitation, climate change, value addition in agriculture, education and skill development,” the statement said.